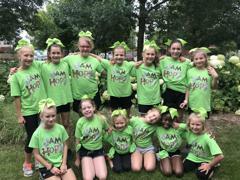 What is Jam Hops All Star Cheer? 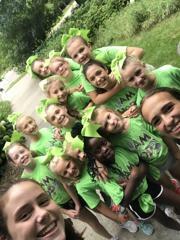 Our All Star Cheer recreational program is designed to give ALL cheerleaders an opportunity to learn more about being on a All Star Cheerleading team. 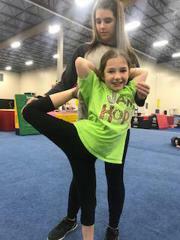 Our classes teach basic skills and technique for stunting, jumps and tumbling; encouraging classroom atmosphere; and positive reinforcement, we give every cheerleader a positive cheer experience. 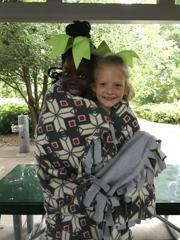 Let us share our passion for cheer with your family! 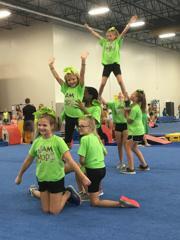 Why cheer at Jam Hops? Jam Hops is passionate about growing children both as athletes but also as individuals. We want our students to learn and grow in an encouraging environment where they feel confident and successful. They will learn the hard work of growing their skill set, while simultaneously developing life skills such as respect, cooperation, dedication, positivity, leadership and many more! 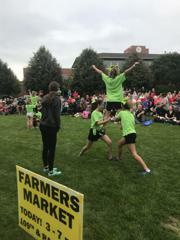 They will also have opportunities get out into the community and participate in performance events and perform their skills! Enroll today! 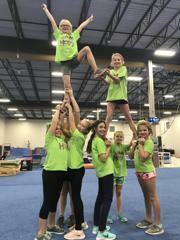 If you are interested in joining our cheer program and have questions or would like to schedule a free trial class for your child, speak with a customer care representative or give us a call at 763-413-0647. You may also visit our "schedule" tab for class availability and to register. Click here for more information about classes and registration! 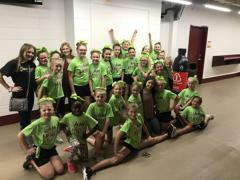 GAME DAY: Cheerleaders get the opportunity to perform at a local football or basketball game. 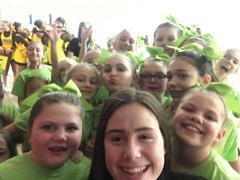 EXHIBITIONS: Cheerleaders perform a non-competitive cheer routine at local cheer competitions. 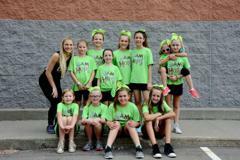 PARADES: Each year the cheerleaders will have the opportunity to perform in two parades! JAM HOPS EVENTS: Each year Jam Hops holds our Annual Spring Show and Open House! 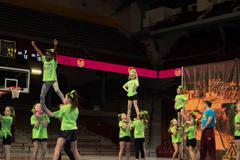 Cheerleaders will participate in a showcase of routines at these in house events! Our next performance will take place at our annual Spring Show. The event is held in our main gym May 17th - 19th. The final schedule will be released by May 2nd. Their session will be approximately one hour, please set aside the entire weekend until the final schedule is released. 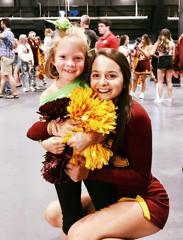 Cheerleaders in all classes learned a routine and performed it together at the U of M Cheer competition as an exhibition routine, meaning they were not scored and did not receive placement. 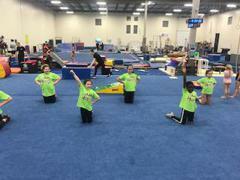 They got the opportunity to perform in front of a crowd and get the feel of a competition floor without any pressure! 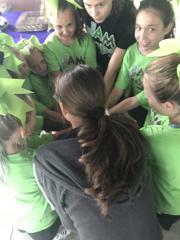 This year 24 amazing athletes showed up to represent their Jam Hops spirit and showcase their cheerleading skills! We are so proud of them!! They were awesome! 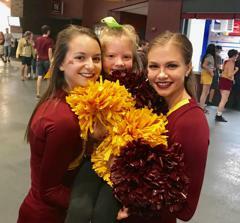 We are so proud of Lily representing Jam Hops at the U of M Cheer and Dance Day Performance Event! 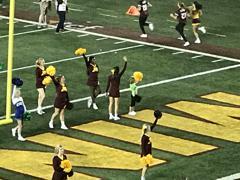 Jam Hops Cheerleaders had the opportunity to perform at a Gopher Football game alongside the U of M Spirit Squads! Lily said she had such a blast! Take a look at the full performance! 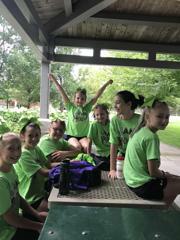 In the summer our recreational dance and cheer classes perform at our annual summer performance! 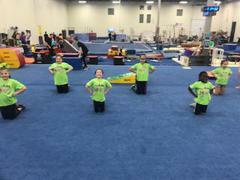 They perform a short routine as well as receive a t-shirt to wear! 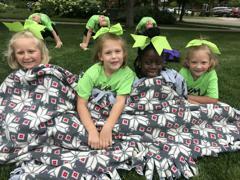 Cheerleaders participate in the Lino Lakes Blue Heron Day's Parade as well as the Anoka Halloween Parade! 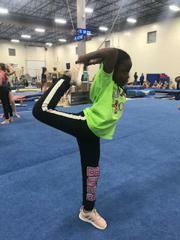 Cheerleader of The Month- Mila! How long have you been at Jam Hops?